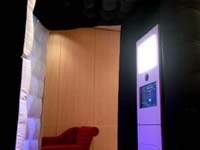 Fitting up to 10 guests, our ‘Photo Booth’ Includes unlimited prints and free hi-res downloads. Fitting up to 12 guests, our 'Photo Pod’ Includes unlimited prints and free hi-res downloads. 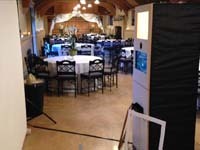 Fitting up to 20 guests The Pro Booth produces stunning, studio quality images. Far from a cramped photo booth, we use a studio backdrop with a width of 2.8 metres allowing us the space and flexibility to produce wonderful images that are both open and free.